Welcome to Logi Tech Conttrols, Manufacturer and Service Provider of Industrial Control Devices. The company was incorporated in the year 2003 at Coimbatore. Our Large production capacity helps us to Cater to Paper, Automobile and other Industries. Complete client satisfaction, Excellent logistic support, Experienced and expert workforce are the strengths of our organization. We are specialized in manufacturing Motor, Servo Drives, Encoders and Interface. Our Motor and Servo Drives are in huge demand across the global markets. 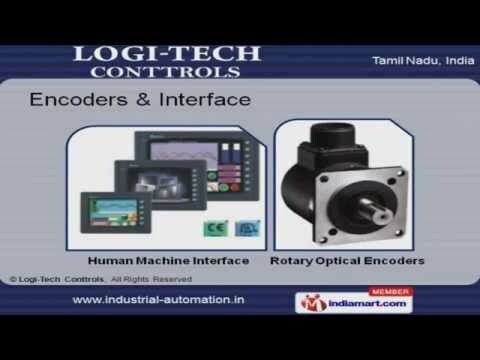 Encoders and Interface offered by us are extremely reliable. Our Communication Modules are well known for their durability. We also provide Logic and Temperature Controllers that are best in the industry. Along with that we offer CTA Timer, Counter and Tachometer that are a class apart.